Half a century may have mellowed the recollections of many Americans regarding the hottest days of the cold war, but one of the iconic figures of that time remains an intimidating figure in our collective memory: Nikita Khrushchev, remembered as the bellicose premier of the Soviet Union during the days of Sputnik, who went eye to eye with John F. Kennedy during the Cuban missile crisis and who was rumored to have banged his shoe on the desk at the United Nations and shouted “We will bury you!” In an interview with his son, Sergei, however, I was shown a different side of the man so many Americans feared. In the memories of Sergei Khrushchev, a 78-year-old historian with dual American-Russian citizenship, Nikita Khrushchev was a devoted family man, a brave reformer who brought an era of relative prosperity to the Soviet Union and a polymath who was not only intimately familiar with Christian Scripture but also reflected the Christian humanist values that his enemies always considered more characteristic of themselves. An engineer by training, Sergei Khrushchev immigrated with his wife to the United States in 1991, eventually becoming a historian and a professor at Brown University and a U.S. citizen in 1999. Among his published works are several books about his father: Khrushchev on Khrushchev—An Inside Account of the Man and His Era, by His Son, Sergei Khrushchev (1990); Nikita Khrushchev and the Creation of a Superpower (2000); and the three-volume Memoirs of Nikita Khrushchev: Reformer 1945–1964, edited by Sergei Kruschev. Sergei lived with his parents in Soviet government housing throughout much of Nikita Khrushchev’s time as general secretary or premier of the Soviet Union, including the time of the Cuban missile crisis. Nikita Khrushchev himself grew up in Kalinovka, a town in southern Russia 10 miles from the border with Ukraine. According to Sergei, the elder Khrushchev’s elementary education ended at the fourth grade, but he was a good student with a prodigious memory. “Along with other children in the village, he went to church school, sponsored by the Russian Orthodox Church,” Sergei said. The town was not prosperous, and Sergei remembered that during his own childhood, even food dropped on the floor was picked up and eaten—out of respect for the many less prosperous or starving people who might find such food precious. Though Nikita often expressed fondness for his own youth and early adulthood as a peasant, “He didn’t idealize the peasantry or any other group. His respect and calling were for the entire people of Russia.” He was proud that his son became an engineer, since his own entry into politics had taken him so far from his desire to be a technician or an engineer in the factories. 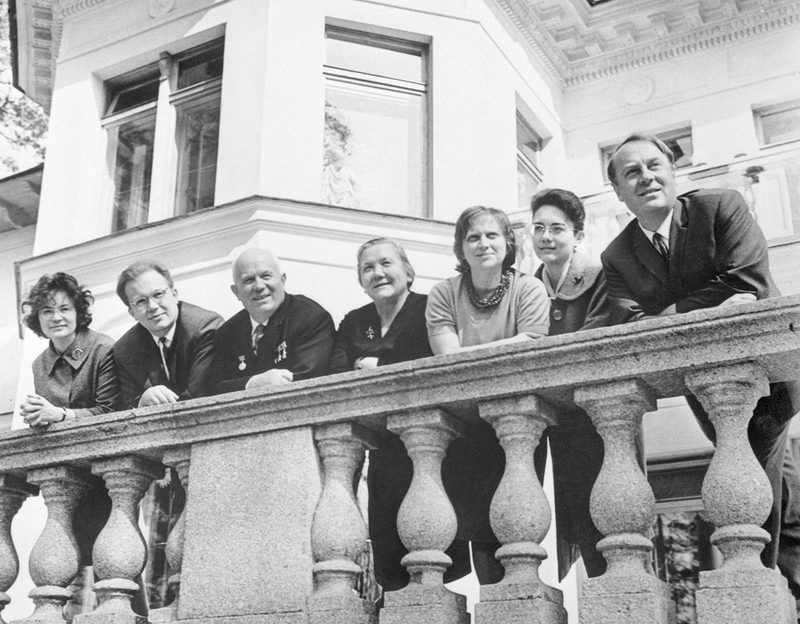 When Nikita Khrushchev visited the United States in 1959, he brought his family with him. Sergei remembered being given the opportunity to indulge a personal interest on a trip to catch butterflies outside Washington, D.C. For both American and Soviet political watchers, Khrushchev’s decision to bring his family raised eyebrows, as it was so out of the ordinary for politicians to visit either country during the cold war. During that same visit to the United States, many American observers were surprised at Khrushchev’s intense interest in food production methods. On a visit to an Iowa farm, Khrushchev startled the press corps traveling with him by taking an impromptu detour into the fields to examine the corn crop more closely. Poplin summer suits became grass-stained; shined shoes were scuffed. According to his son, this interest was part and parcel of Khrushchev’s larger plans to improve the Soviet agricultural sector, which became one of his proudest accomplishments. In a country that suffered chronic food shortages (particularly after Stalin’s catastrophic agricultural programs of earlier decades), Khrushchev was able to coax real productivity out of the Soviet farming culture. Though both he and his wife were avowed atheists as adults, and Nikita Khrushchev was convinced that religion was vanishing from the world (“he believed that in his lifetime he would shake hands with the last Orthodox priest”), his son recalls that Khrushchev was the first Soviet politician to attempt to establish relations with the papacy, sending Sergei’s sister and her husband to Italy on the pretext of a journalistic visit but with the hopes of establishing a backdoor channel of communications; Khrushchev’s removal from office soon afterward scuttled these plans. Khrushchev has also been described elsewhere as having an almost encyclopedic knowledge of Christian Scripture. “It is possible, as some have suggested, that Father memorized the entire Gospels,” his son related. He is noted for having said, upon seeing the fertile lands of Israel from a plane on a visit to the Middle East, “I can see now why the Jews cherished their Promised Land.” Upon his removal from office in a bloodless coup in 1964, Khrushchev reportedly asked of his antagonists, “What are you going to do now? Crucify me on a cross like Christ?” Khrushchev instead survived under a kind of limited house arrest for the rest of his life, and lived long enough to write his memoirs with his son’s support. This article also appeared in print, under the headline "My Father, Nikita," in the November 18, 2013 issue. William van Ornum, a professor of psychology at Marist College and a regular blogger for America, interviewed Dr. Sergei Krushchev on March 14.